Avalanche Canada issues special warning for areas in B.C. 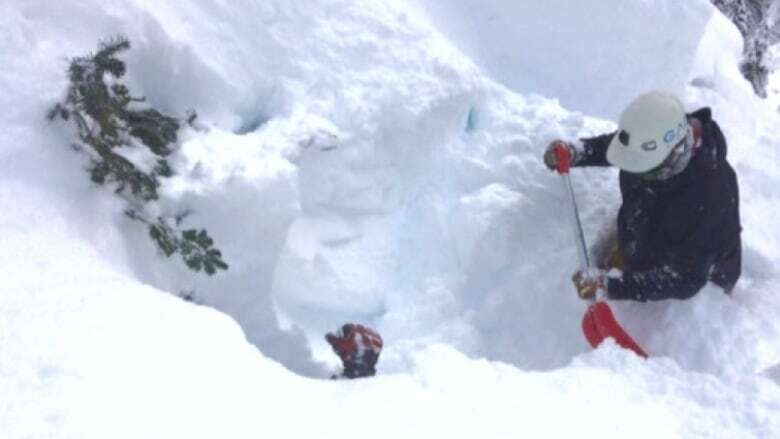 Avalanche Canada has issued an avalanche warning for backcountry users in some areas of B.C. this weekend. Avalanche Canada has issued an avalanche warning for recreational backcountry users in some areas of B.C. this weekend. Glacier National Park is also issuing a public warning for backcountry users in that region. "Recent new snow and wind have deposited up to a metre of new snow across these regions that overlays a weak layer," said James Floyer, Avalanche Canada's forecasting program supervisor. "We've seen this layer fail a number of times over the past few days, resulting in some close calls. Our concern is that as the sun comes out this weekend, this weak layer will become more easily triggered. "And with the amount of snow that's on top of it we could be seeing some very large and dangerous avalanches." Avalanche Canada advises avoiding large slopes in the alpine and at treeline, especially slopes that have not been previously heavily ridden. It says everyone in the backcountry should have an avalanche transceiver in transmit mode, and carry a probe and a shovel.